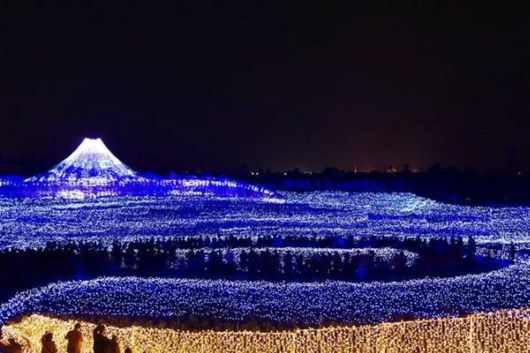 The third of November, is the largest celebration of the arrival of winter in Japan, which happened on the island of Nagashima , Nabana no Sato (なばなの里) is a theme park on the island of Nagashima in Kuwana., in Japan. 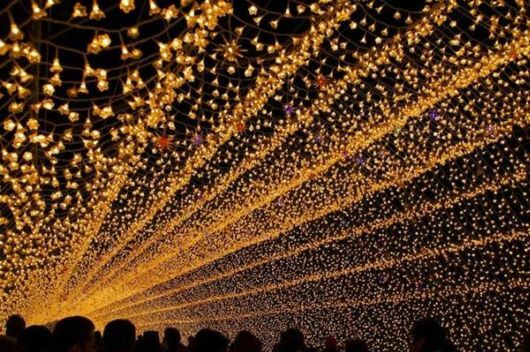 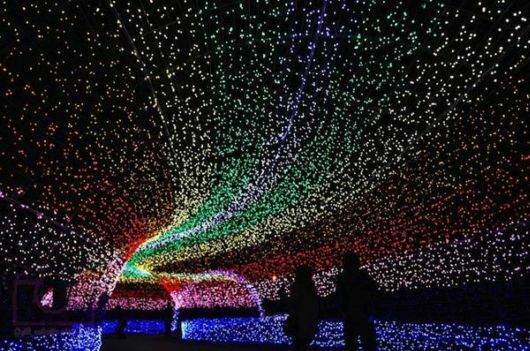 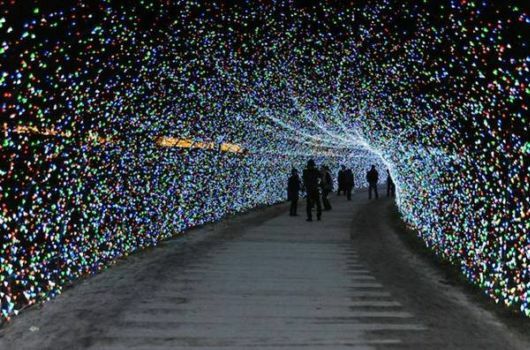 The largest optical equipment in the world called "Winter Lights" Tens of thousands of lights illuminate hundreds of meters in the tunnel, the thing that makes tourists flock dramatically to watch this outstanding offer. 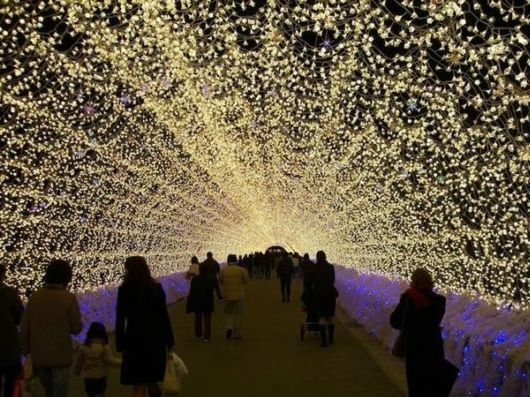 This celebration continues until March 31, 2013. 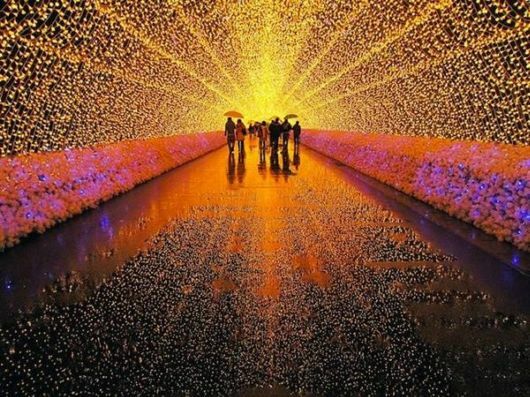 One of the best light shows in all of Japan. 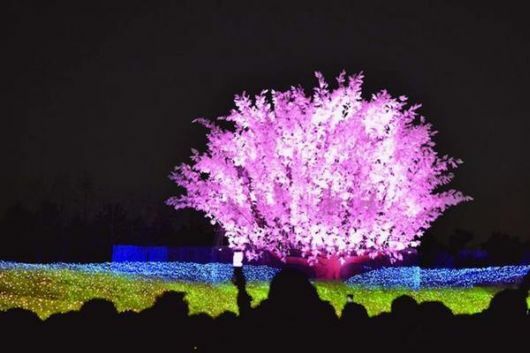 It runs for 4 full months (from mid November - mid March). 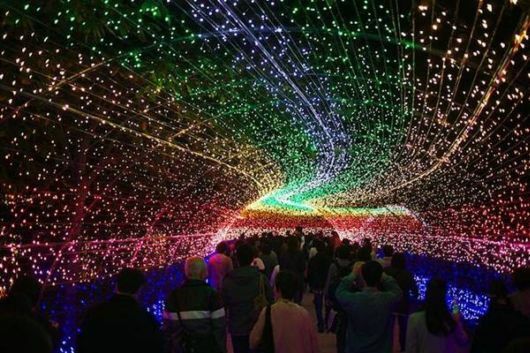 Among other things, there is a tunnel of light, a cloud of lights, one of the major flower display areas is turned into an "aurora", the lake is lit up with lights, and more. 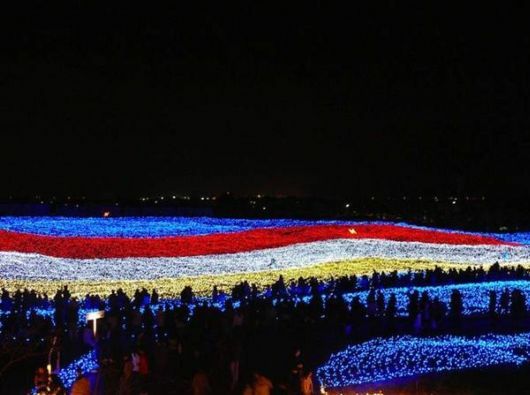 It is definitely worth seeing in your time in Mie and it is one of the most well-known tourist attractions in the area. 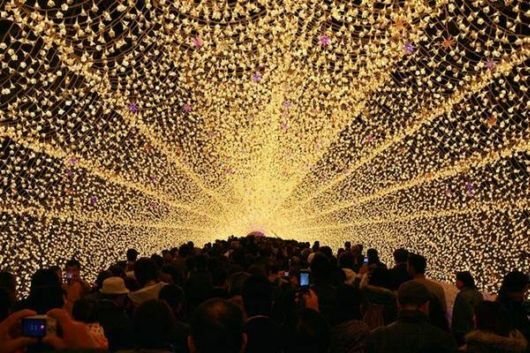 As it is so popular, it is often fairly crowded on weekends so if you live close enough to make it up on a weekday instead that is recommended.